Our Wood Name Badges are laser engraved, or color printed, and offer a look and feel unmatched by other materials. 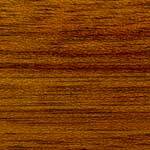 Material choices include: Bamboo, Bloodwood, Maple, Purpleheart, Zebrawood, all from a variety of exotic locations. Because these are natural materials, color and grain may vary.